Most people think of buses as being safer than smaller vehicles. It isn’t every day that you hear about bus accidents on the news. One reason is that there are fewer buses on the roads in comparison to other types of vehicles. Another is that many buses operate in a small area at slow speeds. For example, a campus bus or school bus might travel only within a small perimeter without getting into high-speed traffic. If the person or organization that owns the bus does a good job of screening drivers, the safety of all the passengers is in good hands. Full-size buses are larger, heavier, and higher off the ground. Many experts credit their interior design for keeping passengers safer during a crash. These factors might help protect you during a minor wreck but not during one involving a larger, faster impact! While bus accidents are rarer than other types of wrecks, they do happen. When an accident involves a bus, the consequences are often more severe than those involving smaller vehicles. The maximum capacity of a coach bus is usually 55 or 56 passengers. A full-size school bus has a maximum capacity of 72 passengers. That’s a lot of potential victims inside the bus alone! When other drivers and passengers are involved, the potential for injuries and fatalities increases even further. One thing all types of accidents have in common is that someone is always liable. If you file a personal injury claim, you need to know who to sue. The accident might be the fault of the bus driver and/or the owner. It might be due to another driver’s actions. Maybe the maintenance crew responsible for keeping the bus in road-worthy shape caused the wreck. Any of these people or groups can be sued. If the bus driver caused the accident, your case might get even more complicated. Most bus drivers don’t own the vehicles they drive. Keep in mind, you’re not limited to suing the bus driver. Most people who drive buses for a career don’t have the financial means to pay off a large personal injury settlement. 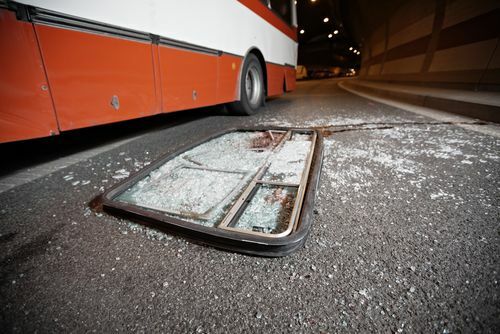 The owner of the bus is liable for their employee’s actions or negligence that led to the accident and your injuries. Sometimes private companies own buses such as charters or those used by private organizations. But many buses are owned by the state, city, or federal government. Many people mistakenly think they can’t sue the government under any circumstances. When a bus owned by the city or other government entity causes an accident through negligence, you have the right to sue them too! But there are special rules you must follow before you can recover compensation. You need an attorney with experience in handling similar cases. Types of buses you see on the road include those used to provide public transportation, tour buses, charter buses, church, and school buses. Of these, the latter is the one of greatest concern to parents. Their children board the bus to get to and from school five days each week. The odds of being in an accident increase with each trip they make. The big size and heavy weight of a school bus add a bigger barrier to other vehicles. 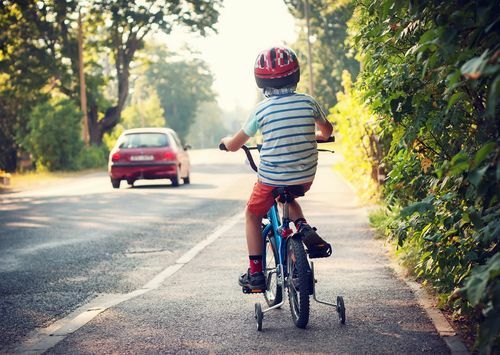 But the lack of safety equipment increases the likelihood that students will get injured, even in a minor fender-bender. In some cases, these requirements aren’t enforced when the funding for seatbelt installation isn’t provided by the state or school district. In 2017, a minimum of 29 states had introduced bills to address the issue of seatbelts on school buses, but none have passed into law beyond the initial eight states listed. Unfortunately, there’s no law that mandates students buckle up other than those in special ed. When a bus crash happens, adults are at serious risk of injury, too. Some of us use public transportation as an inexpensive and convenient means of getting around. If you take a bus to work and back, you’re already spending lots of time on-board. If you also take the bus to classes, to visit friends, for shopping, or going to social events, your odds of being in an accident increase even more. It doesn’t mean you will be in a bus accident. You might ride buses daily for the rest of your life without ever being in a crash. But if you are, you need to know your rights and what to do immediately after. The same sense of security that you get from riding on a bus makes it even more frightening when the unexpected happens. Most passengers aren’t paying attention to the traffic in front of or behind them. The first sign that an accident has happened is the force from the impact. During the first few seconds of the crash, you don’t know if another vehicle struck the bus or vice versa. It’s also possible the bus you are riding in hit another object, a pedestrian, or a bicycle rider. There might be another vehicle out there with injured passengers inside. A hit and run driver is another possibility. If possible, you need to be observant and start gathering information right away. The difficulty in getting compensation for your injuries makes your actions after the accident even more vital. You have legal rights to get compensated for your injuries and damages. Know what to do if you’re involved in a bus crash to help your odds of winning your case. Depending on your state and your specific circumstances, you might qualify for different types of damages such as current and future medical expenses, lost income, and pain and suffering. Get immediate medical attention for yourself and anyone else who might be injured. Don’t wait until you or someone else has evaluated the number of victims or the extent of their injuries. In some states, failing to get medical attention within a specified time prevents someone from filing a personal injury claim. A medical exam and accident report are the first documents you need to file a claim. More importantly, someone needing urgent treatment shouldn’t wait any longer than necessary. Like injuries from any type of accident, those incurred from bus accidents vary significantly in severity. Some types of injuries are more common, depending on the accident. Even those that occur at low speeds sometimes result in soft tissue injuries like whiplash. Impacts that occur at higher speeds and/or with other large vehicles can result in head trauma like concussions, along with broken bones. Buses that wreck on the open road are more likely to turn over. These accidents can result in serious injuries that are life-threatening. A call to 911 will also bring law enforcement to the site of the accident. Once law enforcement arrives, they will create an accident report that details the wreck and the conditions surrounding it. If you require immediate medical care, make getting care your first priority. Even if you don’t have any symptoms, see a doctor right after the accident. Explain what happened and any symptoms you are experiencing, no matter how minor. Sometimes symptoms don’t occur until hours or even days after the accident. Waiting until then to get medical care could cause your injuries to get worse. It will also give the other side ammunition to discredit your claim. It’s a lot easier to forget details than you think! If all you have to write on is the back of your checkbook, use it. Barring that, send yourself an email message that includes all the information. Put down names, phone numbers, addresses, and any other contact information they offer. Note whether they are witnesses, passengers of the bus, or passengers in the other vehicle. People often assume that “someone else” will take care of gathering information. It’s never a good choice to leave this detail to chance. The victims of bus accidents have the greatest interest in knowing what other people saw and heard. Include the law enforcement officer’s name. You only have one chance to get the information you need to use their testimony to prove your case. More than 90% of all U.S. citizens have a smartphone. Put yours to good use! Take pictures of the bus and all vehicles, pedestrians, or bicycle riders involved. Look for skid marks on the road, traffic signs, or spilled beer cans. Consider anything that might have contributed to the accident. People share details about where they go, what they do, and what they eat on social media. Don’t make the mistake of including details of the accident, your injuries, or your claim. Attorneys and insurance companies know how easily people share information on sites like Facebook and Twitter. If you have a claim against them, they’re going to look online to see what they can find. Your social media images pose an even greater risk to your personal injury claim. Imagine what the other side can do with a picture of you playing football after claiming you received a concussion or fractured bone. One comment reassuring friends that you’re “all right” is all it takes to unravel your case and leave you without any compensation. The best way to stay safe is not to discuss the accident, your injuries, or your activities at all. Failing to get medical attention right after the accident is one way to discredit your case. It gives the other side a good argument that you weren’t injured at all, or as severely as you claimed. Failing to follow-up with your doctor is another way. Always keep appointments for tests or follow-up care. If your doctor refers you to a specialist, go. Take any medications prescribed and inform your doctor if you have any problem. It’s the best thing for your health and for your personal injury claim. The laws regarding accident claims in any setting are complex. The circumstances surrounding bus accidents make it even more difficult to navigate the laws. What you don’t know about personal injury law could bring your case to an end before you get started! Failing to make your claim within your state’s statute of limitations is one way this happens. Making a mistake on your claim is another. Schedule a complimentary consultation with an experienced personal injury attorney. Take all of the evidence you have collected with you. The attorney will evaluate the evidence and your case. He understands the various factors that determine whether your claim has merit. Sometimes it takes a long time for the experts to determine who is at fault and what kinds of damages the victims are entitled to. Don’t wait until you get a final ruling to get the legal representation you need. Healing from your injuries might take a few weeks, months, or even a lifetime. No matter how the accident occurred, someone is liable for your pain and for your expenses. An injury has an impact on every aspect of your life. It interferes with your job, your downtime, and the things you enjoy the most. Taking the right steps after bus accidents is the most important thing anyone can do to improve their situation. If you’ve been injured in a wreck with a bus, contact Krasney Law today. We’ve helped many victims of bus accidents get the compensation they deserve. Don’t risk losing your claim by choosing the wrong legal representation. We know how to handle insurance companies, government employees, and the government agencies who caused you harm!